Got the Chinese food fetish going on? 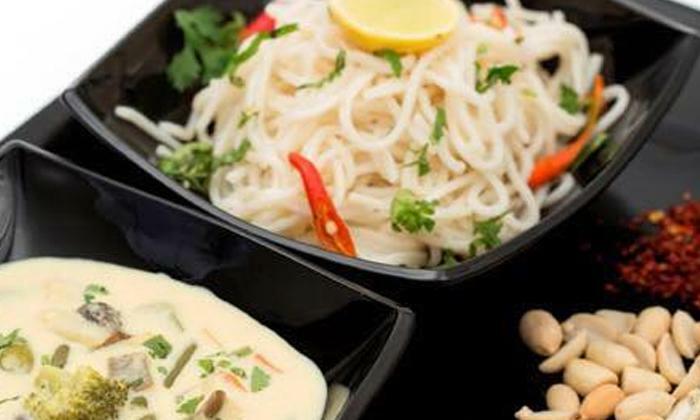 Or are you craving for some soothing Thai food? Whatever be the case, Kung Pao has got you covered for it! Serving delicious preparations from your all time favourite Chinese and Thai cuisines, Kung Pao makes itself the one place you want to run to when the comfort of familiar flavours is what you seek. Sometimes all you need to turn a day around is some GOOD food and Kung Pao sure is one place where you'll find tastes and aromas that uplift your mood and soothe your senses. From healthy salads to fuming hot momos to sizzling gravies to chilled desserts, you'll find them all at this little haven of happiness called Kung Pao!